We were greeted by Roger who really went the extra mile to make sure we found what we needed, and he was nothing like a car salesman at all, more of a knowledgeable shopping assistant that answered all questions and was upfront, honest, and polite. We bought a vehicle that suits our family needs well and within our price range. Would definitely recommend this lot! We drove over 3 hours to look at a Jeep Cherokee that we found in an internet search. I called and spoke with Roger and Brian about the specifics of the Jeep. This is a '99 model so I expected some minor issues due to the age. Roger was very up front with me concerning the condition of the vehicle before I drove that far to look at it which was very much appreciated!! When we arrived Roger met with us to look it over then encouraged us to take a test drive. After returning from our test drive there was no pressure from Roger to buy the Jeep. He answered a few of our questions and allowed us some personal time to make our decision. It was a really nice and enjoyable experience not being pressured by a salesman. The only issue we had with the vehicle was a weak battery and Brian set us up to stop by Autozone just down the road as we left and there was a new battery waiting for us. Roger wanted to make sure we didn't have any problems on our 3 hour drive home. My wife loves the Jeep and I can thank Roger for making it an easy and stress free buying experience. When we are ready for our next vehicle I will definitely check out Ohio Motor Group again. Our vehicle was "totaled" in an accident; needed to have a reliable replacement. Noticed Ohio Motor Group (Bridgeport) and we decided to check them out. Unfortunately, we are skeptical shoppers. I checked with some of my friends and a few had bought vehicles from them. To a person, each felt positive about their particular interaction and subsequent deal. With this new information, we felt more relaxed and confident. We found a late model that seemed to meet out needs. We were treated with respect and found our questions answered to our satisfaction. The vehicle we bought has some minor issues which Roger is working to correct and is keeping us informed about his progress. Based on our experience to date, I would recommend OMG; Roger has been upfront with us and is both friendly and knowledgeable. I loved Ohio motor group in Bridgeport Ohio!!! Roger was the best car dealer to do business with! I had a wonderful experience and I would recommend him to everyone to buy a car from! On 5/14/2014 we stopped here to look at vehicles and ended up talking to Roger who was very nice and very helpful. He had a nice sense of humor that made you feel comfortable and welcome. He took the time to answer all our questions and helped to make arrangements to pick our vehicle up the next day. I would recommend Ohio Motor group to anyone looking for a used car!!!!! Great experience buying a used car. Staff was knowledgeable and friendly. Thanks Roger, we got the vehicle we wanted at a great price! Roger Woods is a good guy. He was very friendly and made me feel at ease. There were a few minor issues with the vehicle I was interested in buying. Roger addressed these issues promptly. ie, the AC needed charged, a rust spot needed fixed and the Rotors needed turned. All this was done quickly and at no cost to me. This was the first car I bought in years and Roger helped me to understand the ins, outs and what is required when buying a car and I felt he truly had my best interest at heart. I went into the purchase thinking we were going to finance after making a big down payment. However after realizing the terms of the financing were not to suited to my current circumstances I changed my mind and decided to pay it off. Roger made this a painless process. We cancelled the financing and he worked up the appropriate documentation to pay it off. The biggest testament to OMG2 and Roger's integrity as car dealers came when the cars break line ruptured on the way home from having the rotors turned at Sears.Roger and OMG2 had arranged with Sears to have our rotors turned. On the way home from Sears we lost all break pressure. We immediately parked the car and I called Roger. He promptly arranged for a tow to come and take the vehicle to Meineke in Bridgeport and for the break lines to be replaced. We just picked up our vehicle today from Meineke and all is good. The Breaks work great and now we know we have new break lines and wont have to worry for some time to come. Our AC is working great and the Car looks and runs great. We still have to get our mirror fixed, but Roger gave us a " We Owe" slip and it just a matter of coordination now. All in All I would say we are very satisfied with OMG2 and definitely with Roger Woods. If you happen go that way, ask for him by name. He will look out for you. I have visited the Ohio Motor Group in St Clairsville, OH to purchase a car. I got greeted and very awesome customer service. My salesman Roger Wood was very helpful. I ended up buying a car and that same day I got to drive away in the car I bought. I highly recommend this business to anyone needing to purchase a car. I would recommend going here to find a good used car, friendly service, and no pressure sales. Recently bought a used car for daughter in college, and am very pleased with deal we received. The car was given to us in clean,condition, with an almost full tank of gas and all the fluids up to level. Our salesman, Roger Woods, was a pleasure to work with. I purchased a ford truck from Roger Woods at the St Clairsville lot, great service and no problem with the paperwork, I will definitely do business there again!!!!!!! Thanks Roger!!!! First time car buyer, and had no idea what I really wanted. Roger helped me out every step of the way. From picking a car, to paper work, the whole nine yards. Couldn't be any happier with my choice, and if I could I would rate this place higher than five stars! Thanks guys! Keep up the good work! Our experience there very eye opening. They were very nice to talk to, helpful, explained everything we questioned about. That is better then the last four places we have been at. Roger, came right out to ask us if there was a certain thing we were wanting. We told him and he went in, got the keys, went for test drive, and we were pleased in all we came to see and look for. Thank you for your kindness. We gladly tell all our friends about you. Found what I was looking for, Roger helped me through and got me good money for my car, Great place! They were very helpful in locating the right car for me. Great customer service answering all questions quickly and precisely. I will recommend this dealer to anyone needing a "new to them" used car. We purchased a vehicle for our son's graduation present after weeks & weeks of shopping from Ohio Motor Group in Bridgeport, Ohio. The sales associate, Roger, was absolutely wonderful in finding us the perfect vehicle for our son, helping with everything from financing to making sure everything was working properly and in good condition. We shopped at many auto sale lots around the Valley but they were the most helpful and got us the perfect deal!! I would highly recommend anyone searching for a used car to visit Roger at Ohio Valley Motor Group!! Sincerely, Aric & Angie Jones - Laffery, Ohio. I stopped by to look at a Jeep and talked to Roger. He was willing to work with my situation and did whatever it took to help me get into that Jeep. Very good service. We are pleased and will definitely keep them in mind for the future. I had been looking for a SUV for awhile, Roger with Ohio motor group took my information in case he got something in like what I was looking for. He called within a month about a Isuzu Rodeo. I liked it and wanted the vehicle. My banking and insurance is still located down south. Roger assured me it would not be sold without first contacting me. Everything worked out good, I'm happy with the vehicle and service I got from Roger and Ohio Motor Group. I was looking for a nice, dependable used car at a price that was affordable. I saw a vehicle I liked on Cars.com at Ohio Motor Group and called and advised them of my situation.  Salesman, Roger Wood, was extremely helpful and I got a very nice vehicle at a reasonable price. If and when I need another vehicle, I will definitely go to Ohio Motor Group. Thanks Roger! I was searching for a newer vehicle for a Christmas present and went I found out about Ohio Motor Group I thought I should go check it out. I was right, this place is hands down, AWESOME! Roger and Dan helped me out big time, they understood my budget and worked with me the best at they could. They have a nice selection to choice from and all their vehicles are in excellent shape. I made sure to tell all my friends and family about Ohio Motor Group. If I am ever looking in the future I will return to them no doubt. I was new to the whole "buying a new car" process. I didn't even really know what I wanted. I had gone one other place before stopping at Ohio motor group in St. Clairsville. I went with a friend, and checked them out just before their closing time on a Friday. Roger Woods was the salesman, and asked me a few questions, before showing me a couple cars on his lot. I was very interested in one of them. We decided that I would come back on the following Monday to test drive the one and maybe another. When I came over on Monday, Roger had a 2012 white Nissan Sentra with only 33,000 ish miles on it. It fit my bugdet, was newer and got good gas mileage. All of which I was looking for. I took it on a test drive and instantly fell in love with the car. The next day, when I went to sign for it, Roger and Ohio motor group worked to get me the loan and get me the car, which I drove home Wednesday before Thanksgiving. They were extremely helpful, and informational. I am very satisfied, and will definetly consider buying from them again. I am a single mother of four I use my car for work. Needed something I could depend on within my price range. I had been outta work for almost 2 weeks and needed a car asap. I went to Ohio Motor Group looking fell in love with one car it was sold though but Roger Wood did everything he could to find me a replacement with everything I was looking for. I was very specific with what I was looking for and he found just the right thing. I was told up front the vehicle was having some problems starting in the mornings and he gaurenteed me if it didnt start to call him he would get it running. The next morning it didnt called him he did everything to get it back up and find the problem. Never evaded my calls always called back. Even after we found the problem called just to make sure it was still running good. I would recommend them to any of my friends looking for a vehicle.Thanks Roger me and my kids appreciate it. 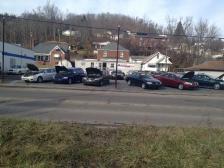 I was looking for a used car and I saw Ohio Motor Group Used Cars, I stopped to look at some cars. I found one and fell in love with it. Roger Woods got my payments within my price range. I was able to leave the same day with my car. There were a few things that need fixed on the car, I was told that they would be fixed no cost to me. 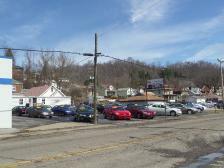 When you decide to get a used car, I would recommend you shop at Ohio Motor Group used cars in St. Clairsville, OH. I went to Ohio Motor Group in St. Clairsville, Ohio, looking for a truck for my daughter. Roger Woods was very helpful, extremely nice and very personable. I was able to get a great truck for a great deal for my daughter. I would highly recommend this dealership!! It was such a quick process and roger was such a great help!